Today I’m loving … this Big Orange Scissor Print by Toronto based illustrator and printmakerAlanna Cavanagh. The Scissor print, and other work from Alanna, is available here. Love it! A hint of orange, that would fit in nearly every interior. GREAT! Happy New Year to you, Danielle. Well, they say orange is the colour of 2012! Love the print too. I wish you a great Oudejaarsavond and a Happy and Loving New Year! Happy, Happy New Year to you, Danielle. I love visiting you here! Thank you all for your kind comments. Happy New Year to you too!!! 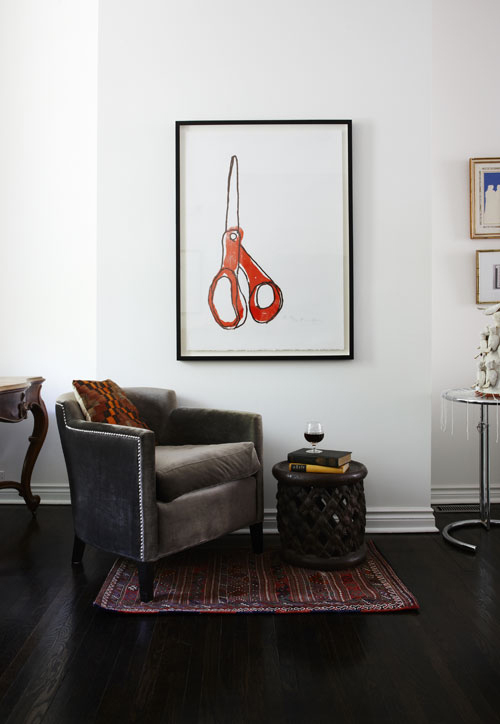 Thanks so much for featuring my scissor print. I’m glad you like it. Good sensations invading me with this picture. But Love it! A hint of orange, that would fit in nearly every interior. Hello. So great to see Alanna’s scissor print here. I have it in my home office. Total treat to get to look at it everyday! So simple yet so pretty! I love it. 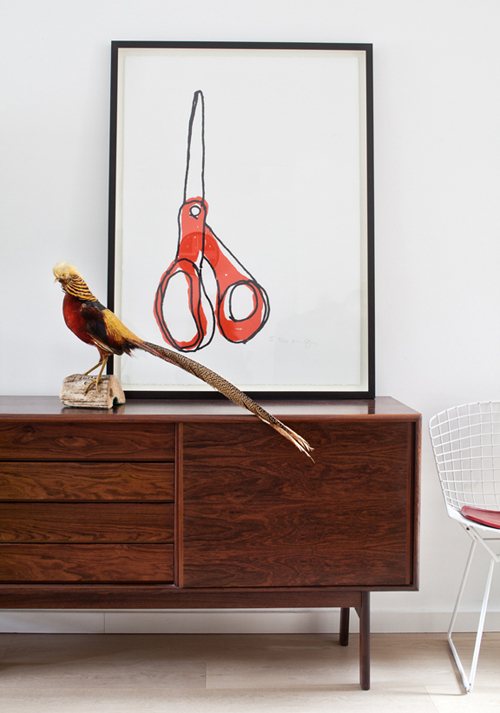 So great to see Alanna’s scissor print here. I have it in my home office. Total treat to get to look at it everyday!